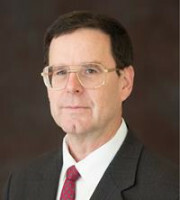 Richard Baker is a senior IP licensing executive with over 18 years’ experience negotiating deals and settling patent disputes within a corporate environment. He has extensive knowledge of the corporate dynamics of licensing negotiations and is an accomplished public speaker with the ability to clearly articulate facts and opinions. Mr Baker is a Certified Licensing Professional and served as trustee of the Licensing Executives Society (LES) United States and Canada. He is a named inventor on 31 US patents. Mr Baker is president of New England Intellectual Property (NEIP), a Massachusetts-based IP firm specialising in patent brokerage, licensing, patent prosecution (including inter partes reviews), consulting and expert witness services. Before NEIP, he spent five years at 3Com Corporation as the director of IP licensing. In 2009 the LES awarded Mr Baker’s licensing department the prestigious Licensing Achievement Award for profitable IP activities during the 2009 fiscal year. The major accomplishment in the 2009 fiscal year was the licensing and sale of patented Ethernet networking technology across several deals amounting to over $87 million in revenue. Before joining 3Com, Mr Baker was the director of intellectual property at Schneider Automation. At Schneider Automation he founded the company’s IP programme, including the creation of IP strategies, the organisation of a portfolio of patents and the authorship of a number of patents. Mr Baker’s graduate studies include intellectual property at Franklin Pierce Law Centre and computer science at Harvard University. He holds a BSc in computer science and English (dual major) from the University of New Hampshire, where he also minored in electrical engineering. Mr Baker is an accomplished public speaker and holds the title of distinguished toastmaster from Toastmasters International. He has served as a member on the Pentucket Regional School Committee and the Town of West Newbury Board of Assessors. Mr Baker was the nominee from a major political party for the US House of Representatives in 2008 and is currently running for the office of governor’s council in Massachusetts.